All the attention in the graphics card space has been focused on Nvidia recently, with the company announcing the GeForce GTX 1080 and GTX 1070 a few days ago. 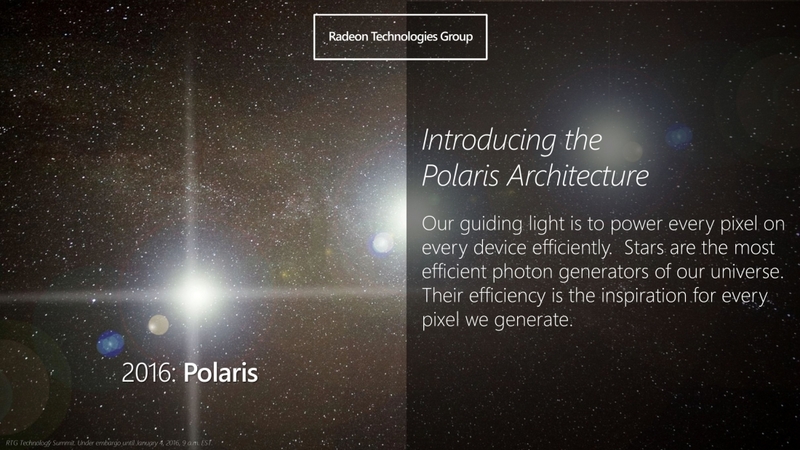 However it won't be too long before Nvidia has some competition, as AMD is expected to launch their new Polaris-based graphics cards at the end of May. According to a report from Zolkorn, AMD is gearing up for a Polaris launch event in Macau sometime in the last few days of May. The event would occur before Computex 2016 begins on May 31st in Taipei, where board partners will be exhibiting their custom versions of AMD's new graphics cards. Both Polaris 10 and Polaris 11 products are rumored to be shown off at AMD's launch event, although actual availability of the cards won't come until a few weeks later. This is a fairly typical launch pattern for a new graphics card, as AMD will want to drum up as much public interest in their products ahead of their in-store launch. Judging by various leaks, AMD will be focusing on mid-range graphics cards with their Polaris 10 GPU, and energy efficient notebook graphics with Polaris 11. The top-end Polaris 10 graphics cards are expected to be successors to the Radeon R9 390 and R9 390X, bringing better efficiency and performance similar to an R9 Fury X (or GeForce GTX 980 Ti) down to lower price points. Considering Nvidia's GTX 1070 launched at $379 with better performance than their last-generation flagship card, the Titan X, AMD's Polaris 10 cards will have to undercut this price by a decent margin if performance doesn't stack up. Some rumors have suggested Polaris 10 will launch around $300, which could certainly be competitive. Gamers wanting a true AMD competitor to the GTX 1080 may have to wait until early 2017, when AMD is expected to launch a minor update to Polaris called 'Vega', bringing HBM2 and high-performance GPUs.